The two male penguins were initially given a dummy egg to look after and once the staff noticed that they were doing a good job, the two were given a real egg to foster. 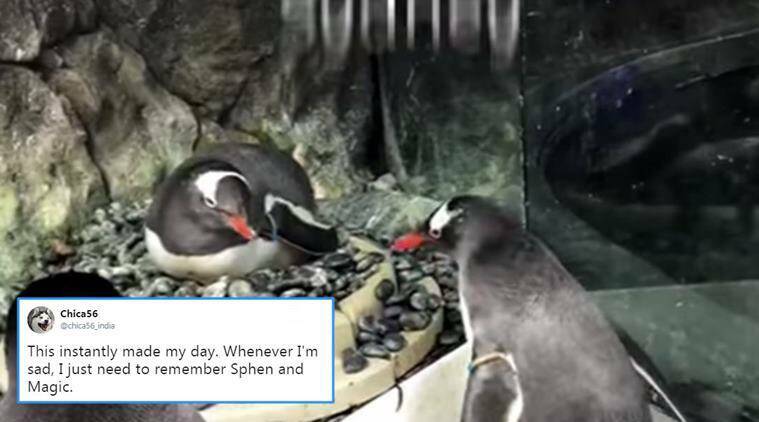 Two male penguins have created quite a buzz on social media after they ‘proposed’ to each other in Sydney aquarium, The Guardian reported. The two have been given an egg, which they are going to foster together. The two gentoo penguins Sphen and Magic, who have built their nest bigger than the other couples, have often been praised by the staff as model parents. The two take turns incubating the egg. According to the news website, the two flightless birds became ‘inseparable’ earlier this year and as the breeding season neared, the staff noticed that the two had started collecting pebbles to build a nest. The two were given a dummy egg to look after and once the staff noticed that they were doing a good job, the couple was given a real egg to foster. “They were absolute naturals and displayed great excitement caring for their egg,” the staff told the news website. Once the news was out, people were quite delighted with it. Many took to social media to express their happiness. The two penguins have become quite a sensation. Here are some of the reactions trending on Twitter.